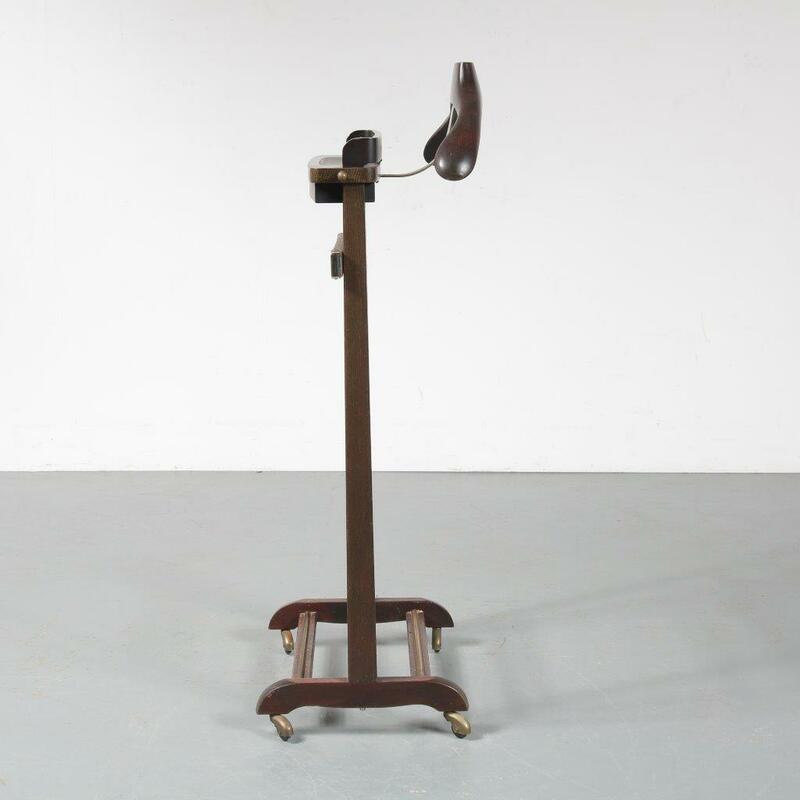 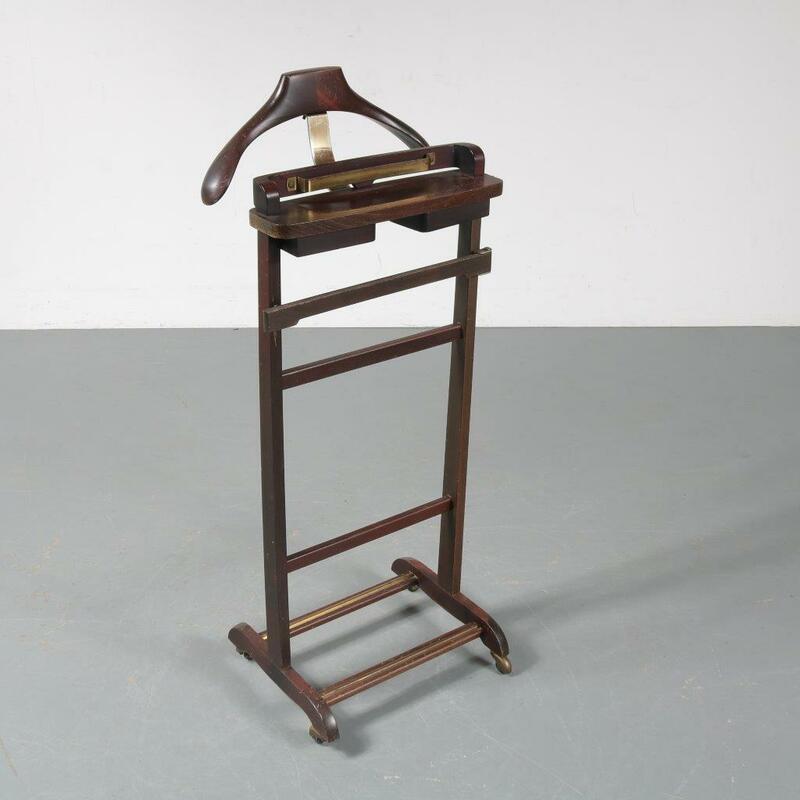 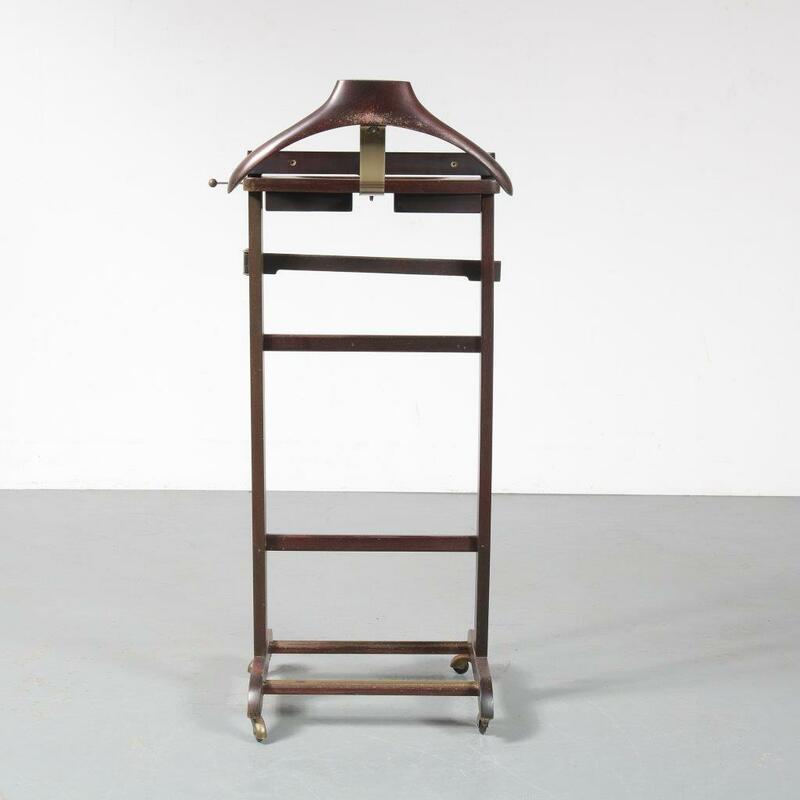 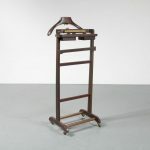 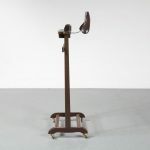 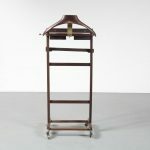 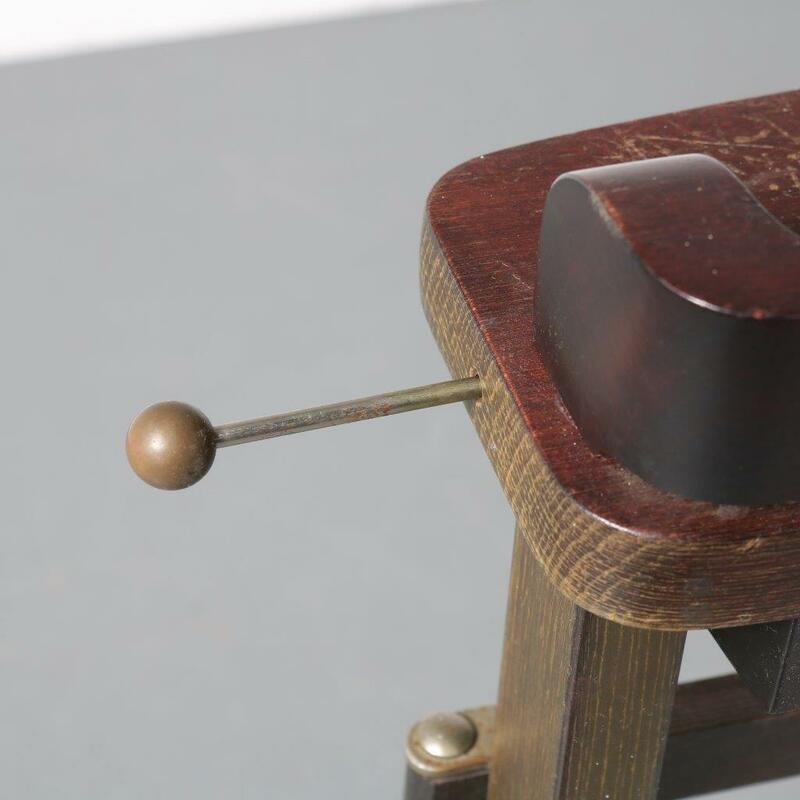 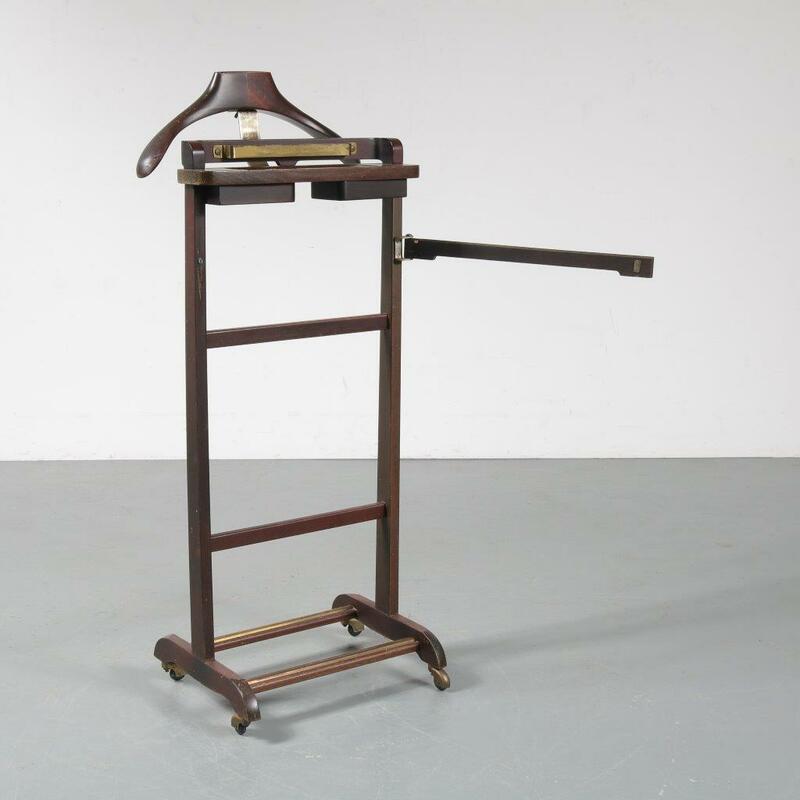 A very nice dressboy / valet stand, designed by Ico Parisi around 1950. 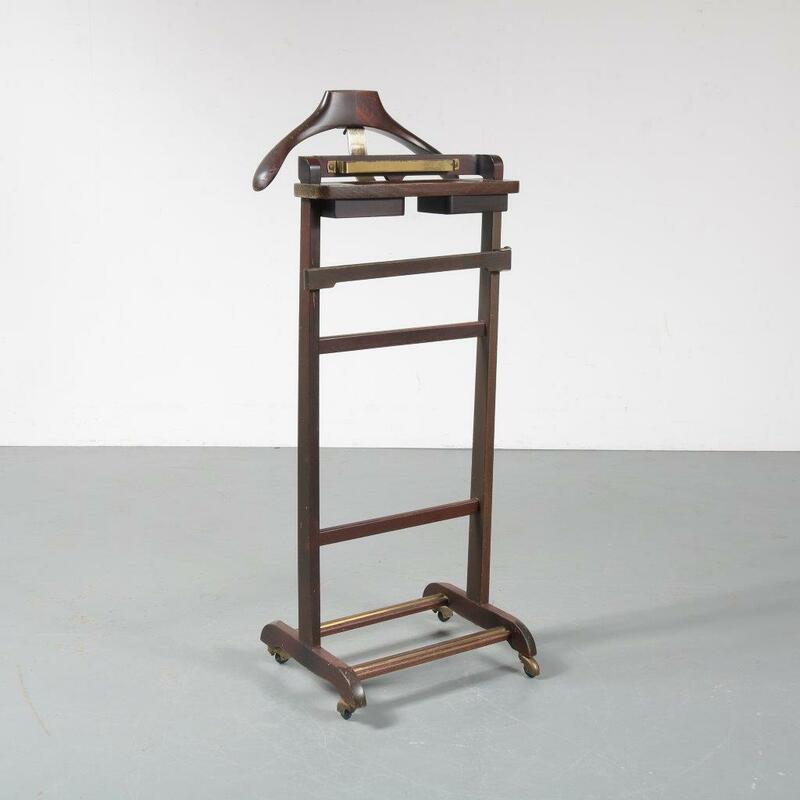 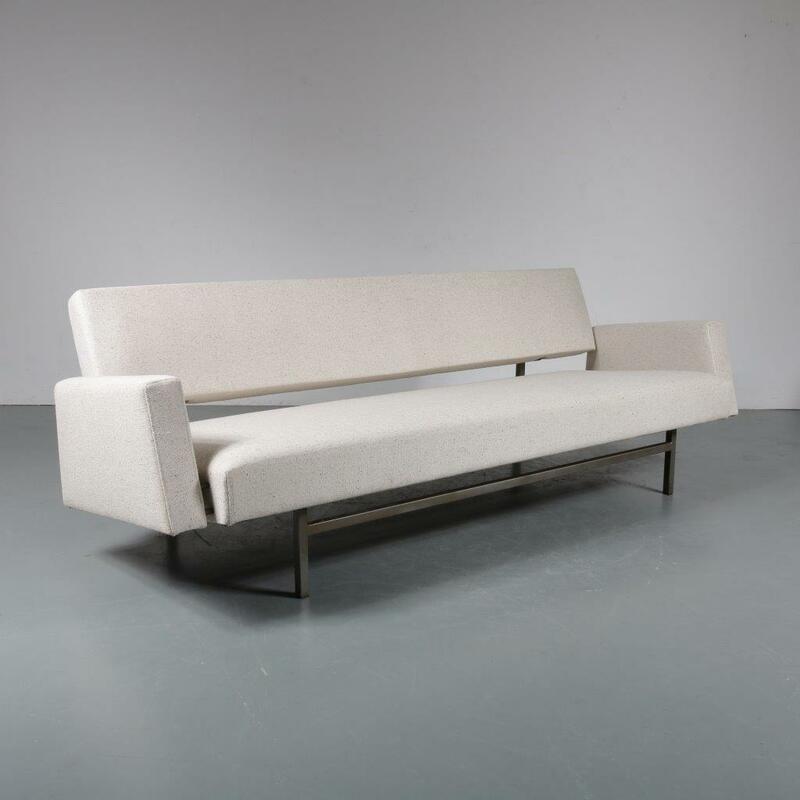 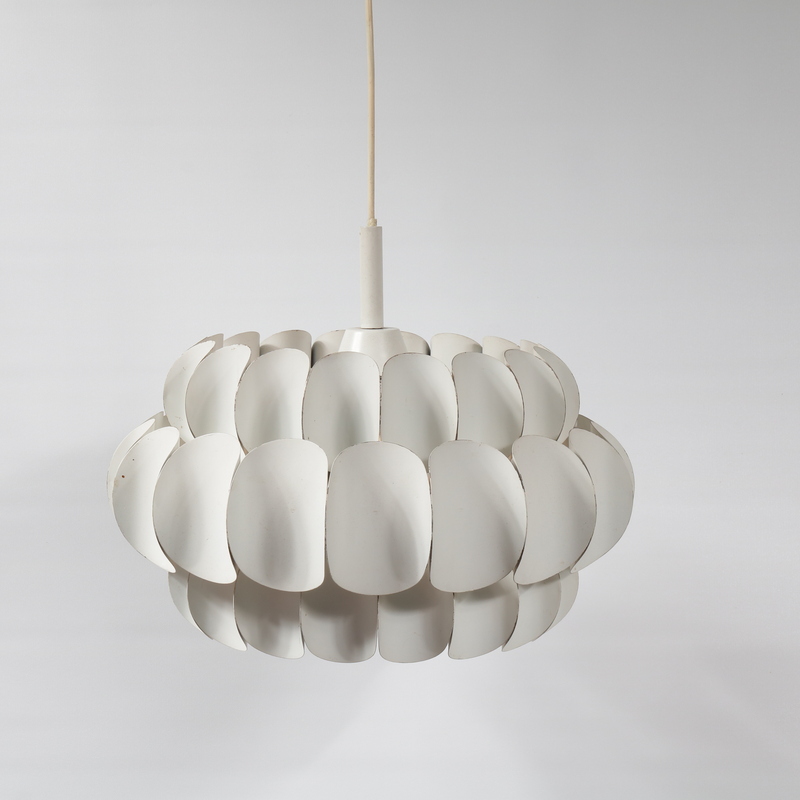 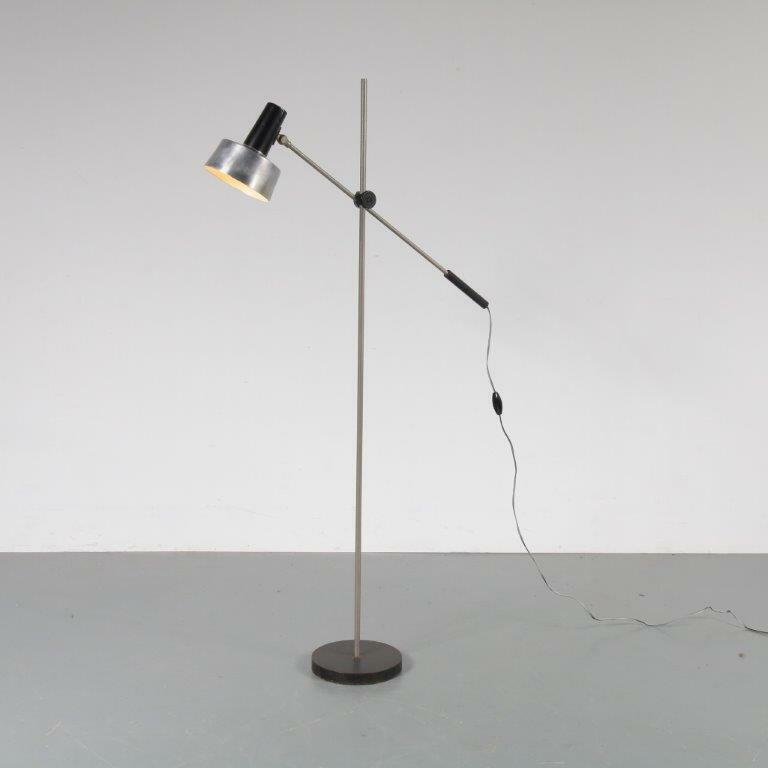 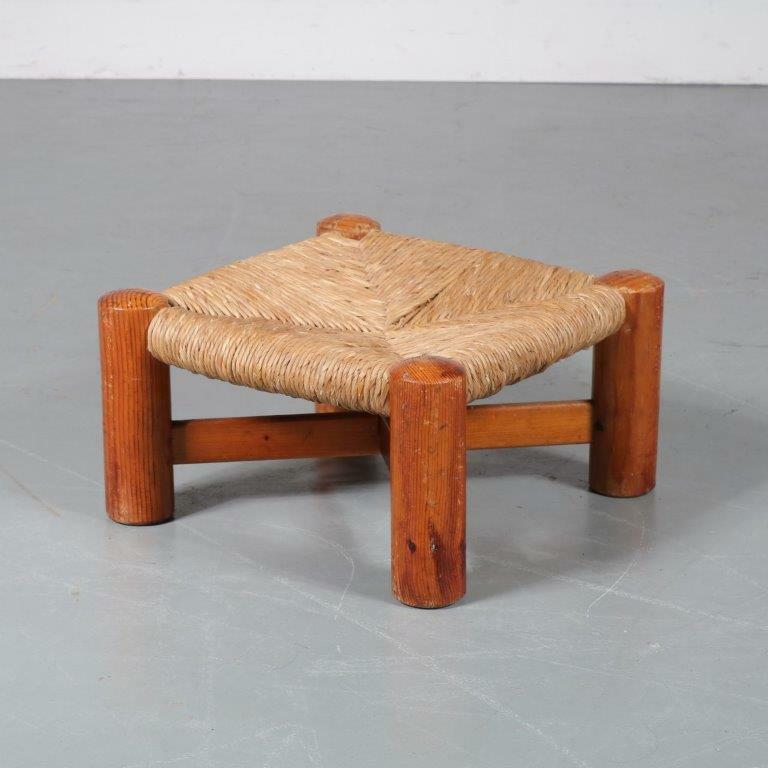 This wonderful piece has a deep brown wooden structure and brass details. 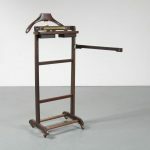 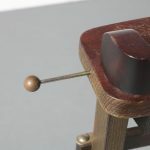 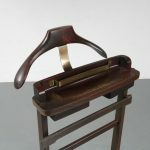 It includes a coat hanger, trousers rails, shoes can be placed on the base, telescoping brass stretchers for ties and a tray for accesories and pocket items. 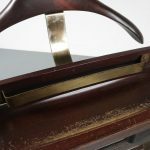 It remains in very good, original condition preserving a beautiful patina.